Ever try a Honeycrisp apple? Take one bite and you’ll be hooked -- they’re absolutely delicious, so sweet and juicy. Just as their name implies, these apples are nice and crisp, and they hold up great in this quick, suuuuuper tasty sandwich. Butter one side of each slice of bread and then spread mustard on the inside of each slice. 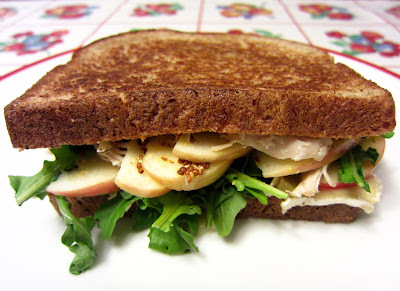 Layer half the slices, buttered side down, with apples, chicken, Brie and arugula. Top each sandwich with a second slice of bread, buttered side up. 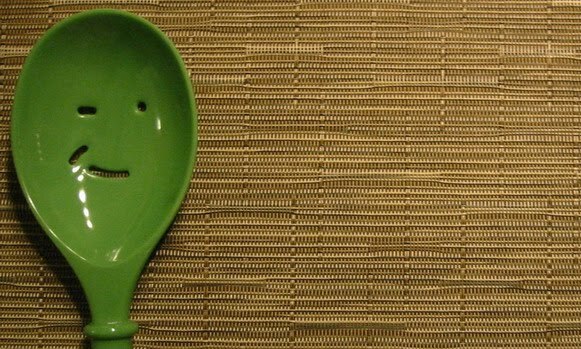 Heat a large nonstick frying pan or skillet over medium heat. Put 1 sandwich in the pan at a time (or 2 if you’ve got a big enough pan) and cook 2-3 minutes on each side, carefully flipping once, until cheese has melted and the bread is toasted. This was my first time making a batch of burgers using more than one type of meat for the patties, and I must say I was quite pleased with the results. Mixing Italian sausage in with ground turkey makes for a flavorful burger. Serve it with a slice of toasty Italian bread, fresh mozzarella and some homemade bruschetta and you’ve got quite a grilled delight on your plate! Make bruschetta by combining tomatoes, 2 teaspoons garlic and olive oil in a medium bowl. Season with salt and set aside. In a large bowl, combine ground turkey, Italian sausage, salt and pepper, remaining garlic and Italian seasoning. Shape the mixture into 8 patties. Put 8 bread slices on a plate and lightly brush with olive oil. Place patties on grill, cooking for 5 minutes before turning them over. 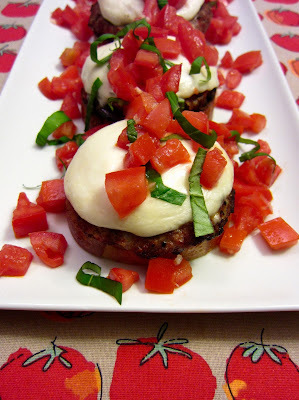 Top each patty with a slice of mozzarella. Cook an additional 5-7 minutes, until meat is completely cooked and the mozzarella is slightly melted. Remove burgers from the grill and let them sit for a minute. Put bread slices, oiled side down, on grill for a minute to lightly toast them. Remove from grill. 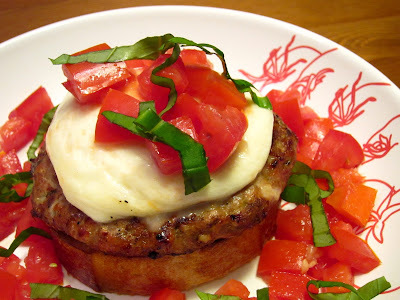 Build your burger by starting with a toasted bread slice, adding a patty and topping with bruschetta. I don’t know about you, but I’m not ready to sign off on summer yet. Yes, the fast-approaching fall is going to be great, but nothing beats some backyard barbecuing on a warm summer day. If you feel like getting your grill on over the Labor Day weekend, bust out some chicken breasts and give this fresh, delicious salad a try. Make the dressing by blending the first four ingredients. Set aside. Bring water to boil in a pan. Stir in couscous, remove from heat, cover and let sit for five minutes. Fluff couscous with a fork and let it cool to room temperature. Preheat the grill at medium-high heat. Brush the chicken with a little bit of olive oil and season with salt and pepper. Grill the chicken, flipping once, until cooked through, about 10-12 minutes. Transfer chicken to a platter and let it sit for a few minute before slicing. 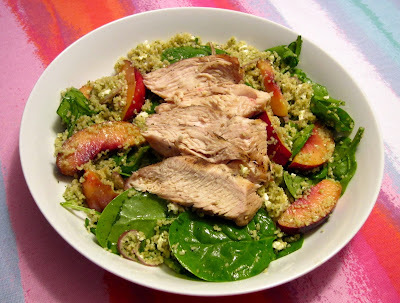 In a large bowl, combine couscous, chicken, shallot, feta, nectarines and baby spinach. Add dressing to bowl and stir gently to mix. Season with salt and pepper.